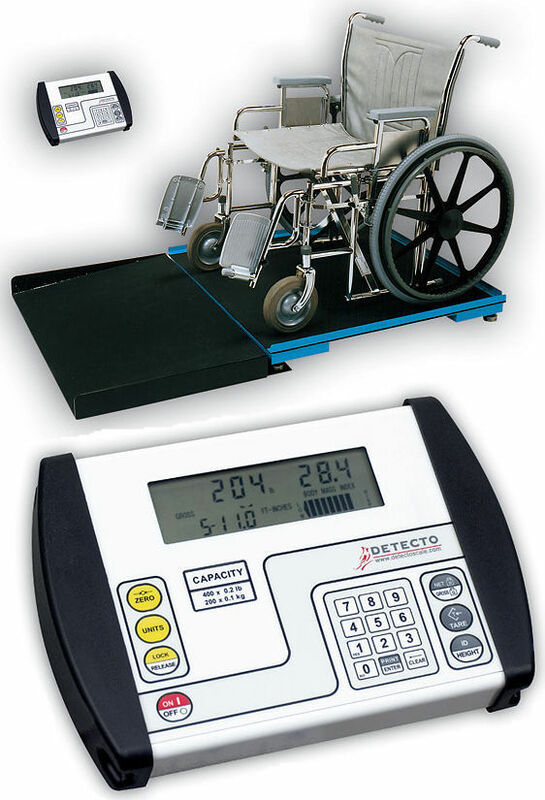 The battery operated models FHD133II and FHD144II wheelchair scales have a nonskid, rubber platform and ramp. 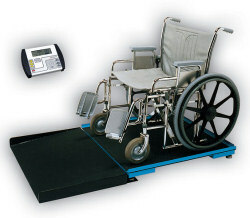 The large platform accomodates walk-on patients, wheelchairs, or straight-legged chairs. This large capacity scale can be mounted flush with the floor if desired. The remote digital weight display includes a 0.7" / 18mm high LCD readout with keypad tare and is suitable for desk or wall mount.